Humidity will combine with heat to be deadly, thanks to climate change. As climate change progresses, it’s not just warmth that will hurt us. It’s the humid heat. “It’s not the heat that kills you. It’s the humidity.” As climate change progresses, this is likely to become gruesomely true, according to a new study published Friday in Environmental Research Letters. Climate change–induced increases in humidity could actually exacerbate the effects of heat to the point of making certain places in the world uninhabitable later this century. By 2080, the researchers predict, we’ll see measurements of heat and humidity that go far beyond safe thresholds in which individuals can still function normally. For individuals too poor to afford cooling systems, who have no housing, or anyone with poor health already, the humidity could be lethal. 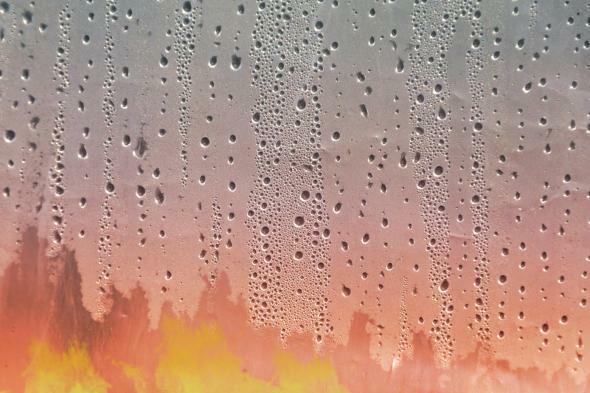 Humans shed heat by sweating and letting the evaporating moisture carry excess heat away. But when humidity is too high, your sweat doesn’t evaporate as fast, because there’s already tons of moisture in the air. The cooling process is stymied, and your body can’t lower its temperature. Every part of you starts to feel tired, and if you can’t get inside to climate-controlled conditions, heat exhaustion or a heat stroke could take effect. There are only a handful of studies that have investigated humidity and climate change. This new study investigates the scenarios in which global temperatures rise between 1.8 and 2.2 degrees Celsius. It makes use of a calculation that suggests that when humidity is at 100 percent, temperatures around 85 degrees Fahrenheit actually feel as hot as 107.5 degrees Fahrenheit on the heat index. At 100 percent humidity, 89 or 90 degrees Fahrenheit can feel like 132 degrees Fahrenheit on the heat index, and previous experiments show that this is the limit for what most humans can withstand before they start to fall apart from the one-two heat-humidity combo—and really, many people would fall apart way before that. Currently, those kinds of temperatures hit the southeastern U.S. about one or two days a year and occur about three to five days in places in South America, Africa, India, and China. They’re conditions that very few people in the world have ever experienced. The study’s model predicts that in many places in the world, under worse estimates for global warming rates, those temperatures could stretch for up to 100 to 250 days a year by 2080. The most devastating effects would happen in northern India, eastern China, the coastal Middle East, and in parts of the Amazon rainforest. Furthermore, hundreds of millions could experience a staggering 95 degrees Fahrenheit at 100 percent humidity—which is literally off the charts on the heat index. In “dry” heat terms, this would feel like 170 degrees Fahrenheit. The most recent instance of any real weather conditions coming close to this was on July 31, 2015, when Bandar-e Mahshahr in Iran, a city of 100,000 on the coast of the Persian Gulf, found itself hit with a heat index temperature of 165 degrees Fahrenheit. Residents kept cool inside, thanks to good infrastructure and cheap electricity. But that could be far from possible for many communities. And even if the heat itself doesn’t kill, the effects could wreak havoc on water reserves, cooling infrastructure, agriculture, and basic technologies. The inability to travel through such ravaging heat could make it extremely difficult for people to get supplies.